Google Analytics is a feature that allows you to easily keep track on the users accessing your Store. This feature will provide you with statistics related to the access rate of your store, the location your store is accessed mostly from and many other. If you would like to sign up for an Analytics account you can do so with your existing Google account at the official Google Analytics home page. In order to equip your Store with this feature you will need to install an additional module. If you are not quite sure how this should happen please read our other tutorial on that matter. The module you will need to install is called ganalytics and it is available under the Analytics and Stats module category. Please press the Install button next to the module so you can begin the installation for this module. At the next page you will be presented with quite a lot of additional information which you should carefully read. The action you will need to perform at this page is to enter Your username. 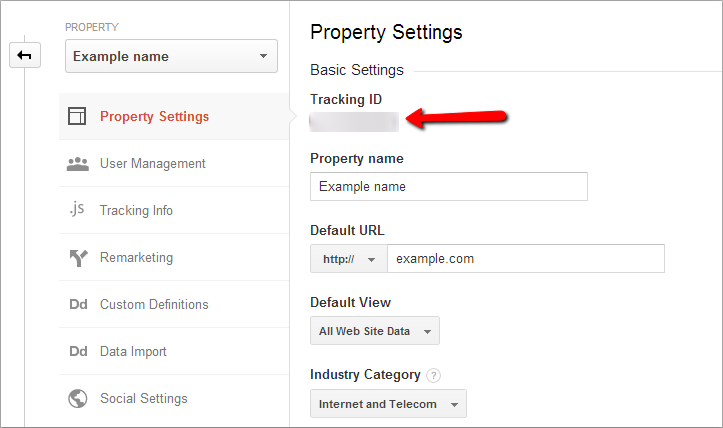 This username is available in your Google Analytics account as Tracking ID. More precisely under the Admin section > Property Settings (Under the Property interface). Usually this username is called Tracking ID and it is a combination of random letters and numbers such as UC-45868523-8 (completely random one). Once you enter it please use the Universal Analytics checkbox and then simply press the Update ID button. Congratulations! You have successfully activated Google Analytics on your Store!